MK Mickey Zohar accuses Left and especially 'Zionist Union' chair of stirring up Druze anger to harm right-wing government. Knesset Member MK Mickey Zohar of the Likud accused the Israeli Left of inciting the Druze community against the Nationality Law. "This is a planned demonstration by the Left and one of its despicable plots, riding on the back of a dignified community to hurt the right wing and Netanyahu," he said. 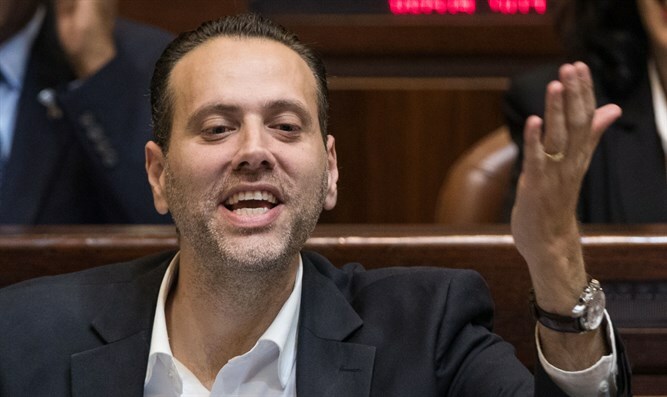 "It's clear this is an initiative by the current head of the Left, Avi Gabbay, who has already proved since he was elected how low he's willing to go," Zohar said in an interview with Noam Zigman on Kol Brama radio. Druze Zionist Council head Atta Farhat has tried to expose purported tensions erupting within his community as mere social demolition tactics normally employed by the Left: "The New Israel Fund and other haters of Jewish tradition have found a fault line, and are pushing to cause a rupture between our Druze brothers and Jews. Don't allow it to happen! They strike when the Jewish nation thinks it's weak or 'enlightened'. But the Jewish nation is not weak; it is strong, your light is your Torah, your prophets, your heritage and your people. I have told my Druze brothers not to fall into this foolish trap set by the Left."